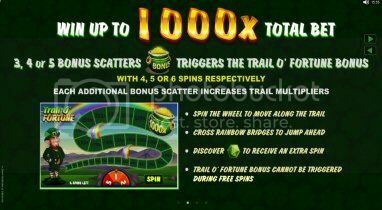 except for the pot of gold and the four leafed clover, which is available during the free spins. The wild is stacked during both the base and free spin feature. free spins feature cannot be retriggered. $100 on your 1st deposit.